Adhesive bonding is used to fasten two surfaces together, usually producing a smooth bond. This joining technique involves glues, epoxies, or various plastic agents that bond by evaporation of a solvent or by curing a bonding agent with heat, pressure, or time. Historically, glues have produced relatively weak bonds. However, the recent use of plastic-based agents such as the new “super-glues” that self-cure with heat has allowed adhesion with a strength approaching that of the bonded materials themselves. As a result, gluing has replaced other joining methods in many applications—especially where the bond is not exposed to prolonged heat or weathering. A large fraction of modern glues are carbon-based petrochemical derivatives. These can be used to bond almost any combination of surfaces, either by direct contact or by fastening both surfaces to a third as with adhesive tapes. Glues can serve as bonding agents in strong structural materials—one of the earliest, and still common use is the fabrication of plywood. Other related composites include fiberglass and various fiber-epoxies such as boron-epoxy and carbon-epoxy. 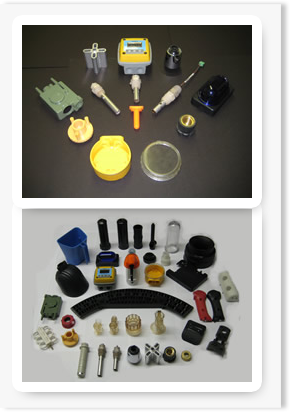 Many of these materials make superior stress-bearing components. Whether bonding metal to metal, plastic, glass, rubber, ceramic, or to another substrate material, adhesives distribute stress load evenly over a broad area, reducing stress on the joint. As they are applied inside the joint, adhesives are invisible within the assembly. They resist flex and vibration stresses, and form a seal as well as a bond, which can protect the joint from corrosion. 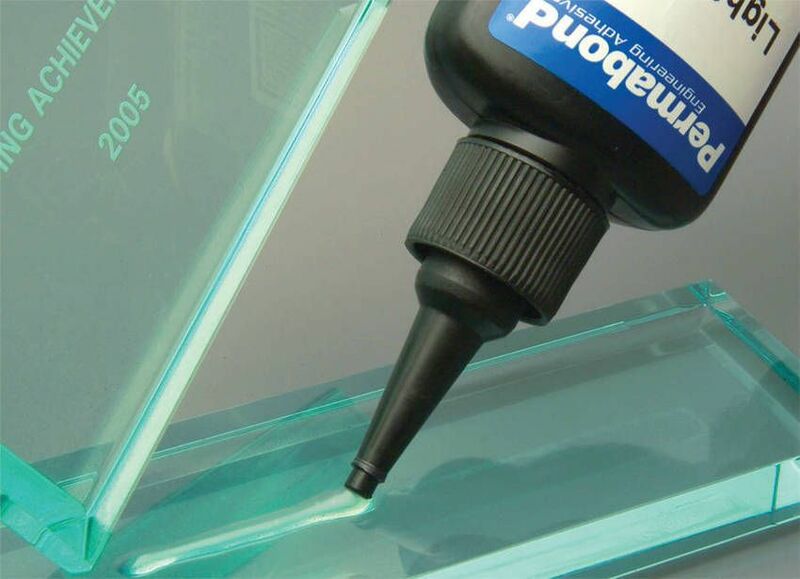 Adhesives easily join irregularly shaped surfaces, increase the weight of an assembly negligibly, create virtually no change in part dimensions or geometry, and quickly and easily bond dissimilar substrates and heat sensitive materials. Adhesives are one-size-fits-all, and assembly can be easily automated. Limitations include the amount of time required for adhesives to fixture and develop full strength, surface preparation requirements, and the problems associated with joint disassembly.